Nicola Rodriguez launches her new book 'Sail Away' and tells us how to escape the rat race and live the dream. She is joined by Kitiara Pascoe, author of 'In Bed with the Atlantic' in which she talks about battling anxiety to sail the Atlantic. Available in store or online at Stanfords.co.uk/events redeemable against the price of Sail Away or In Bed with the Atlantic. This event will be chaired by Jeremy Atkins from Fernhurst Books. Turn your dreams into a reality: this book shows you how to escape the daily grind, buy a boat and sail away. Inspiration and practical advice to help you escape the daily grind covering everything from choosing a boat to crossing oceans. You’ll be guided through planning for and enjoying your adventure of a lifetime – with information on all that the would-be blue-water sailor needs to consider, including safety, communications and budgeting. Covers the routes and destinations around Europe, the Caribbean, Pacific and beyond. Fully updated for 2019 with a new sections on visiting the Baltic and high and low latitudes. Packed full of tried and tested advice from her own experiences and people she met on the way with contributions from over 100 other blue-water cruisers. Nicola Rodriguez dared to dream the impossible. She wanted to see the world with her family. She wanted to have her own adventure, a taste of paradise, and most importantly – freedom. Freedom from the demands of life, and time out to explore on every level. With careful planning her dream came true, allowing her to travel, escape and explore the world by yacht for eight years, four while raising her family. 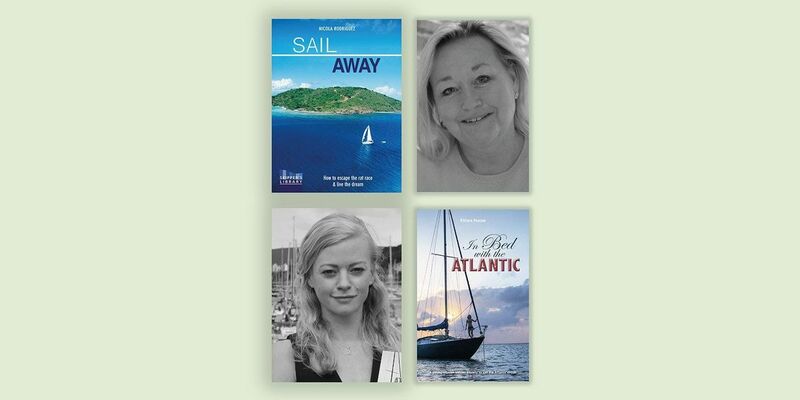 She is a yachting journalist and writes for magazines including Practical Boat Owner, Blue Water Sailing and SAIL. Anxious sailing novice, 24-year old Kit Pascoe, tells of her three-year Atlantic circuit: the fear, danger and isolation as well as the triumphs, discoveries and life-changing moments. At heart, this is a travel memoir of a young woman who had not stepped on a yacht prior to sailing over 18,000 miles with her partner across the Atlantic to the Caribbean and back over three years. She doubted her abilities and suffered from anxiety but discovered that it is only when you take such risks that you can connect with the world at large and oneself. Kitiara Pascoe was born and brought up on the south coast of England. She studied English and Creative Writing at PlymouthUniversity and then worked in Exeter’s Waterstones for two years, ending up as head of travel. She has written for Yachting Monthly from the start of her trip and also been published in The Guardian, The Huffington Post, Matador, PopSugar and SurfGirl.